Autism − Does it Exist as a Distinct Form of Disability? Dyslexia − Can it be Distinguished from Other Forms of Reading Difficulty? Attention Deficit Hyperactivity Disorder − Is it a Distinct Disorder and a Useful Concept? 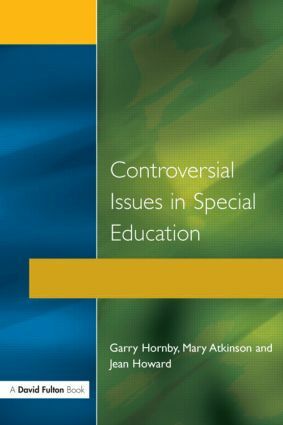 Integration of Children with Special Educational Needs into Mainstream Schools − Inclusion or Delusion? Exclusions − Whose Needs are Being Met? Conductive Education − Is it Effective? Instrumental Enrichment − Is This the Answer to Raising Standards of Achievement in Our Schools? Peer/Parent Tutoring − Is it Effective? Coloured Lenses and Overlays − Do They Really Work? Facilitated Communication − Fact or Fantasy? Reading Recovery − Does it Work and is it Cost-effective?